Soundbook GO: Big Sound in a Small Space! 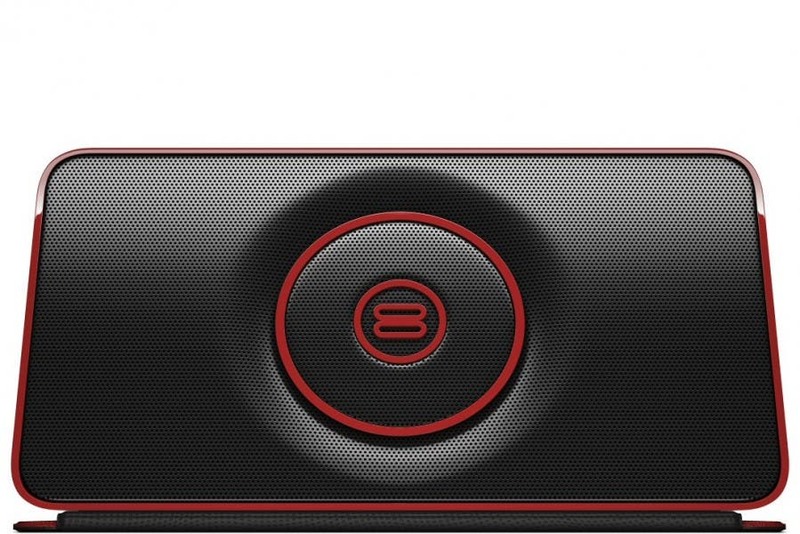 Bayan Audio has a wireless speakerphone that you have to get your hands on called the Soundbook GO ($139.99). This amazing little mobile speaker is the real deal, producing 15 watts of crystal-clear sound with dynamic tones, and boasting an impressive set of extended features: NFC pairing, Bluetooth 4.0, Smart Cover—all contained in a sleek package that can be shoved into a travel bag. The GO is about the size of a cigar box, and though the unit is light (about as much as a full 16-ounce soft drink), when I first removed it from the shipping carton, the heft of it gave away the quality. In in my experience with smaller speakers, the use of a lower-grade driver/magnet results in a lighter weight but also potentially lower audio quality. The solid feel gives away the GO's higher standard: dual one-inch neodymium rare earth magnets in the front speakers, and a one-inch passive bass radiator in the back. The GO includes Bluetooth 4.0 with the added benefit of featuring Near Field Communication auto-pairing. GO options also include an aux-in port to allow connections from wired audio sources (something I had a little challenge with, see next section below). A mini USB connection in the back allows the unit to be charged with the provided cable (internal battery should provide at least nine hours of operation, which I verified). Three simple buttons on top (when propped in stand mode) provide volume and power functions, and are accompanied by status lights for Bluetooth and volume level. Maybe one of the coolest additions, and probably something that will resonate with iOS users, is the smart cover—it magnetically activates or deactivates the unit, and also serves as a base for the unit when open and folded under. Pairing is like with any BT speaker, and I tested the GO with both an Android Tablet, iPhone, and my iPad mini (the unit will support memory for up to four devices). For acoustic music, the clear quality of the output is better than average for a speaker this size. I would say that all ranges are well represented, and the GO produced a room filling sound that was outstanding. Some musical forms were better suited to loud volumes than others. I noted just a bit of roaring at higher volumes when listening to anything with heavily distorted guitar and heavy drums, for example. Bass response was not spectacular (it is a one-inch speaker after all), but it wasn't bad for a unit this size. The BT wireless performance of the unit I received was typical. At around 15-20 feet, signal drops started occurring and it became difficult to maintain a stable connection beyond that distance. The speakerphone performed very well, and in fact the other party remarked how clear my voice sounded. I had a problem when playing music with the unit connected to my computer through the aux-in port. A continuous low whine was noted, which I have experienced with another speaker I have tested. Oddly, I do not note any whine when using a speaker (which also supports wireless) that normally performs this function for my computer connected with aux-in. Typically I would look for some potential issue with interference, but I can find none. The whine was only evident when using aux-in with my computer, however, so am not dinging the GO for this oddity. The Soundbook GO performed well in my tests, and thus gets iPhone Life kudos. In terms of wireless range and signal strength, it meets the expected range for a BT device. I usually rate BT performance on the ability to roam around or between average-sized adjacent rooms without impacting playback (WiFi would see that extended to between floors in a house). Due to the excellent audio performance I experienced with this pint-sized speaker, I recommend the Soundbook GO without hesitation!